Despite gales and floods 2013 has turned out to be one of the quietest years on record for home insurers. According to an analysis of Association of British Insurers, in the first nine months of 2013 there were 1.2m claims on policies, resulting in a a 23% drop compared to same period last year. The fall in claims means insurers have enjoyed one of their best years since 1994.This comes as a big surprise as 2013 began with a big freeze, snow and the lowest temperatures in March, and ended with the the recent gales and floods. 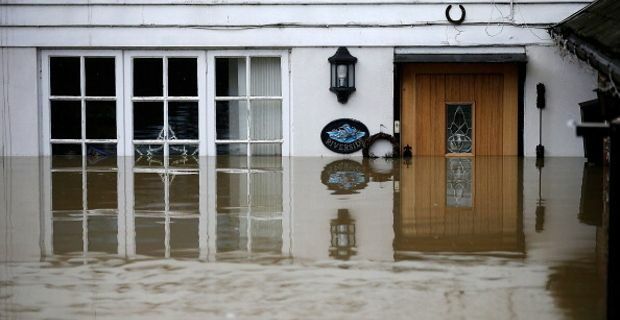 In areas such as Yalding, Kent, flooding has affected around 1,300 homes, for instance, but it seems that, despite the extreme weather conditions that ruined Christmas for thousands of household across Britain, the number of claims has been relatively low. One would think that, having enjoyed greater profits in 2013, home insurance companies would be able to offer higher premiums next year. Unfortunately though the market laws of capitalism are often perfectly opposite to common sense. In fact, experts are now predicting that home insurance premiums are very likely to fall by around 5% in the new year. In practical terms, this means a drop of around £12.50 off the typical £250 cost of building and contents cover for the average UK home. James Rakow, insurance partner at professional services firm Deloitte, said in an interview: "The weather in the first nine months of 2013 has been benign with relatively few storms and floods. Although bad weather swept across the country over Christmas, the numbers of claims are unlikely to significantly affect home insurers' results. If there are no major floods or storms in the first few months of 2014, it is quite feasible that premiums could fall by at least 5%."